For any Catering Sales Managers and venues that are interested in selling Indian weddings, knowing what a mandap is, is a really good place to start. Definition: A mandap is the equivalent of an altar. Traditionally, it’s a 4-pillar structure setup on a stage. It’s where the ceremony will take place. Click to hear how mandap is pronounced. Dimensions: The mandap is usu. at least 8ft. x 8ft. x 8ft. Larger ones can go up to 12ft. x 12ft. x 12ft. Staging & Decor: At most hotel and resort venues they provide the staging and the decorator assembles and decorates the structure. At many golf clubs and banquet halls the decorator is responsible for the staging in addition to assembly and decor. Who It Applies To: Hindu and Jain weddings; not Sikh and Muslim weddings. This is what a traditional mandap looks like, but some people are taking creative license with them out of interest as well as logistics. The four-pillar mandap is beautiful but it’s a little obstructive too as the pillars make it hard to see the ceremony. So some couples opt for backdrop style mandaps or even completely pillar-less mandaps as you see in the photos below. The pillar-less mandaps enable 270-degree seating and are just a very modern take on a very ancient tradition. As you can see they’re REALLY beautiful and ornate. Some people go really heavy with mandap decor and others go light – that’s based on personal preference and wedding budget prioritization (not cultural). 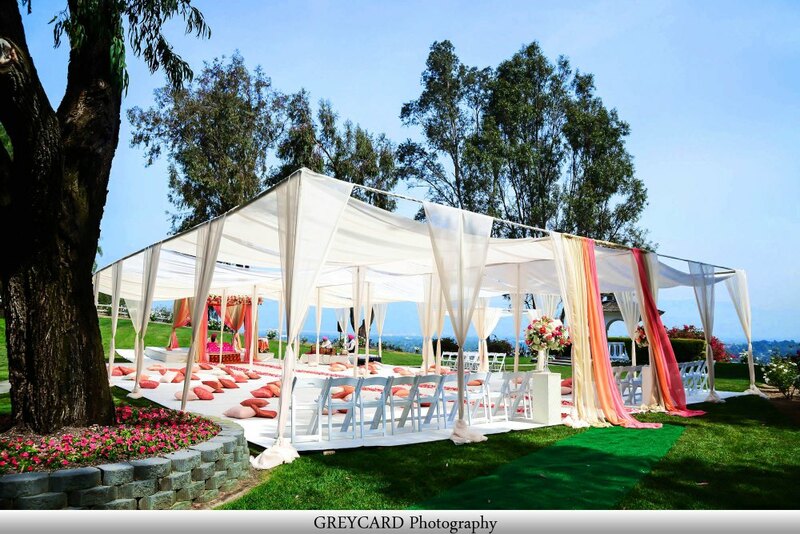 Venues that have a gazebo, pergola or another structure already built-in make great mandaps. Then the decorator just comes in and does his/her magic. Note for venues new to Indian weddings: outside vendors are handled professionally. Most venues require all vendors to be licensed and bonded, provide proof of insurance and a business license. And couples seek professionals as well, as they don’t want to mess around with their wedding day. For Hindu, Jain, and Muslim weddings, theater style seating should be arranged. 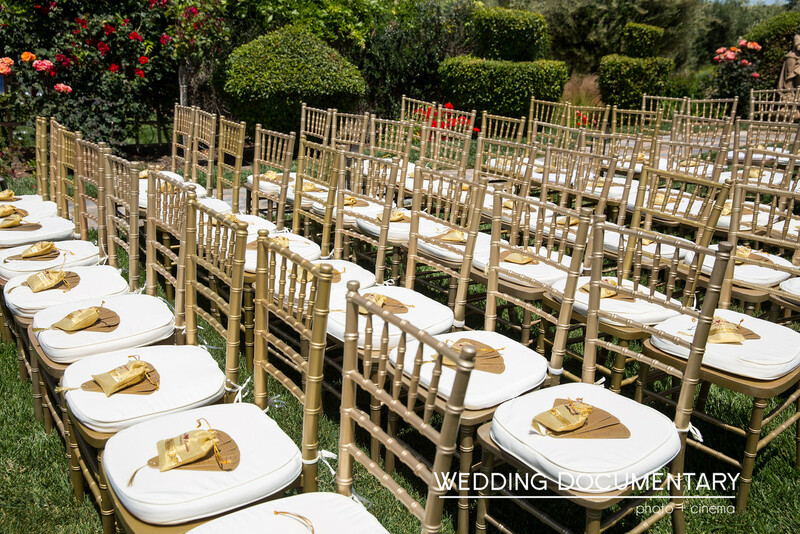 Couples may choose to rent chiavari chairs or use the chairs provided by the venue. Protip: leave at least 6ft. between the mandap and the 1st row of chairs to give the photo and video teams enough space to capture the event. First of all, the term mandap is not used in Sikh weddings. Traditionally, Sikh weddings take place in the Sikh temple called a Gurdwara and everyone sits on the floor. 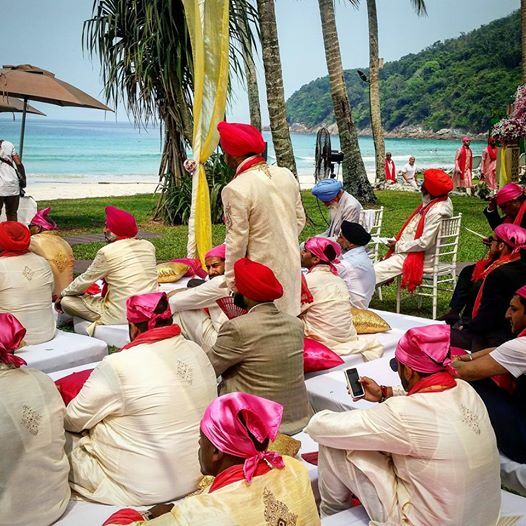 But some couples want to have a traditional Sikh wedding ceremony while taking advantage of gorgeous weather, so they have to figure out how to seat guests comfortably on the floor, outdoors at their venue. In a ballroom a Sikh wedding ceremony setup is pretty easy, simply lay down white sheets for the guests to sit on. For an outdoor wedding things get a bit trickier as it’s uncomfortable to sit on the ground. Whether your venue’s ceremony space is an open field of grass or concrete, couples work with a decor company that can make a flooring such as plywood and cover it with carpeting. Whether or not a venue will allow that is a different story. ProTip: not every venue will allow this type of sub-floored seating, as it has the potential to damage their grass. Not only that but they can’t water that area for a couple days beforehand either. In fact, at this wedding (above), the bride shared that literally the minute the ceremony was finished, the venue’s staff moved in to tend to the grass. So if you get asked about a Sikh wedding at your venue, determine whether you will allow this or not. FYI, sitting on the floor is non-negotiable for Sikh weddings, so that is a deal-breaker. ProTip: Also, at Sikh weddings guests are not allowed to wear their shoes in the ceremony area, so point out a couple spaces where shoe shelves can be setup. The last thing the couple wants is a bunch of shoes in their wedding photos! As noted above most Indian weddings (except Sikh weddings) will have a theater style setup with a stage. Most couples hire a DJ for the wedding ceremony so the venues’ sound equipment is not necessary. Also it’s nice when the venue sets up a water station during the ceremony. For Catering Sales Managers, knowing this info and being able to talk about it when you do site visits and meetings with clients, will make an impactful and positive impression on your clients. 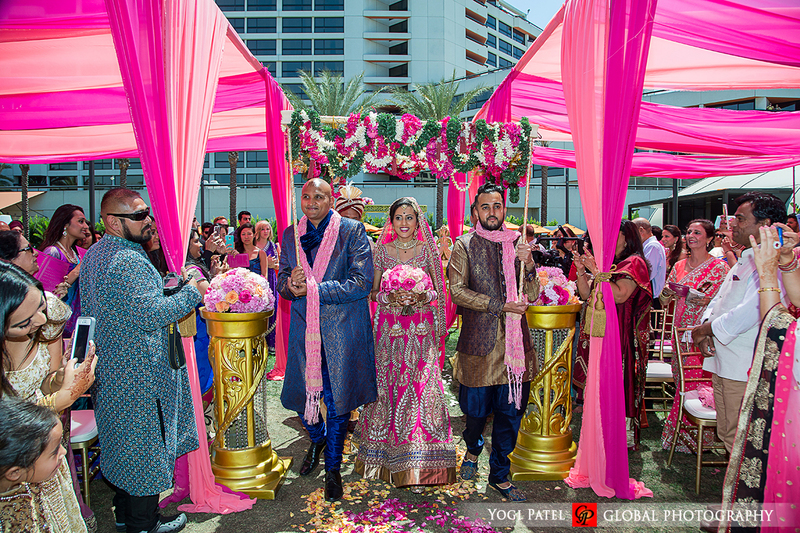 Clients will appreciate when catering sales managers not only know about Indian weddings in general but also the more nuanced info about the Indian sub-cultures; and can make a difference in closing a deal. ProTip: at the very least couples expect catering managers to know the basics of Indian weddings, especially at large venues that have hosted them before. As they say, knowledge is power and the difference between knowing your stuff and not is huge when you make that first impression on clients. At most Hindu weddings, the groom enters the mandap first. The officiant performs several rituals and then the bride is invited to enter. She walks down the aisle and enters the mandap. Hindu and Jain weddings are about 1-1.5 hours long. Some weddings have a lunch served afterwards. Those weddings start in the morning (10-11ish) and finish around 2:30pm with lunch. Some Indian weddings start later in the afternoon 3pm-ish and go from the ceremony straight into cocktail hour. The ceremony is the heart of the event. Most Hindu and Jain wedding ceremonies are anywhere from 1-1.5 hours. 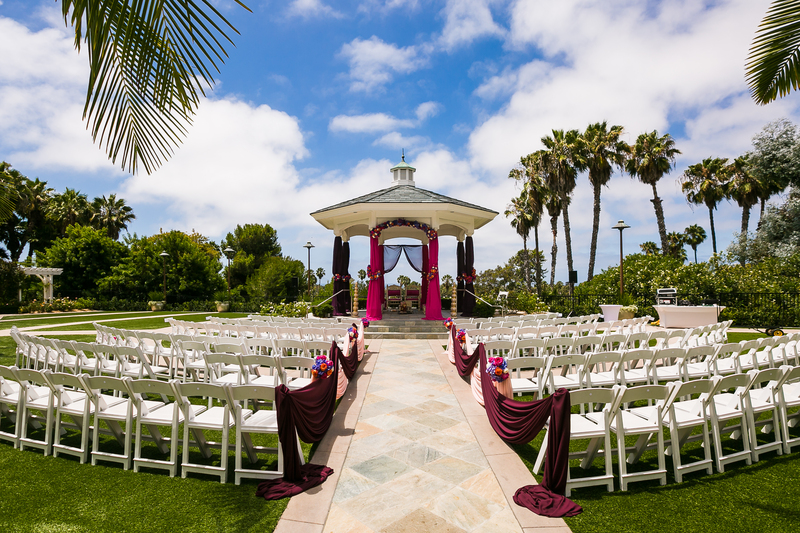 At outdoor venues it’s really important to ensure there is a back-up space in case the ceremony has to be moved indoors. And the venue must allow the ceremony flame (indoors), should it have to be moved indoors. It’s really important to discuss this with your client before any contracts are signed. 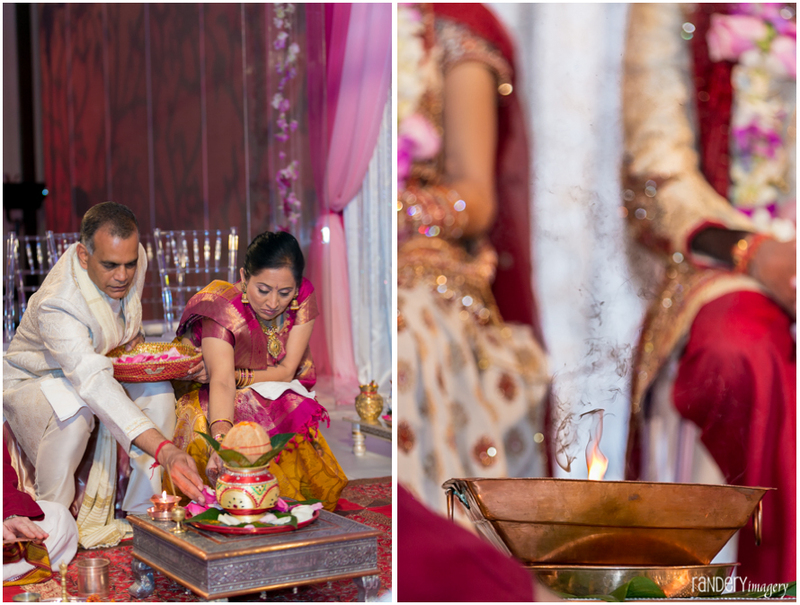 FYI, the flame is a vital component of a Hindu and Jain wedding ceremony. There are ALOT of misperceptions about this as a lot of Venue Managers assume this is a big bonfire, type of fire…it’s not. Scroll through the photos below to see different ceremony flames. 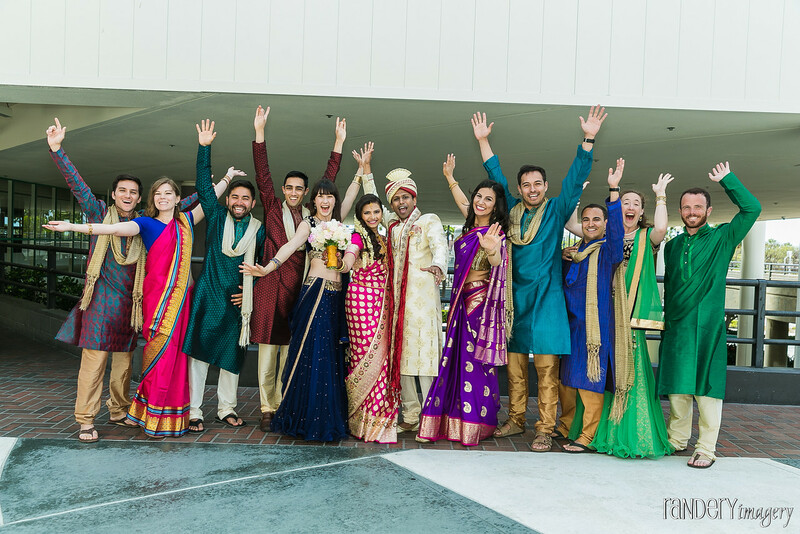 ALL of these are are from real Indian weddings that took place at venues in the United States. Clients are happy to work with you and the venue’s policies on how big the flame can be – again as you can see below. It would be a shame to miss out on hosting these profitable weddings due to misperceptions. ProTip: Read our guide on what Venue Managers need to know about the ceremony flame. Protip: If your venue has a firepit, please DO NOT suggest that to your clients. It’s a wedding, not a camping excursion. After the ceremony, it’s common for brides and grooms to stay in the mandap area to take photos with family and friends. Often for weddings where there’s a lunch, the guests are off having lunch while this is taking place. 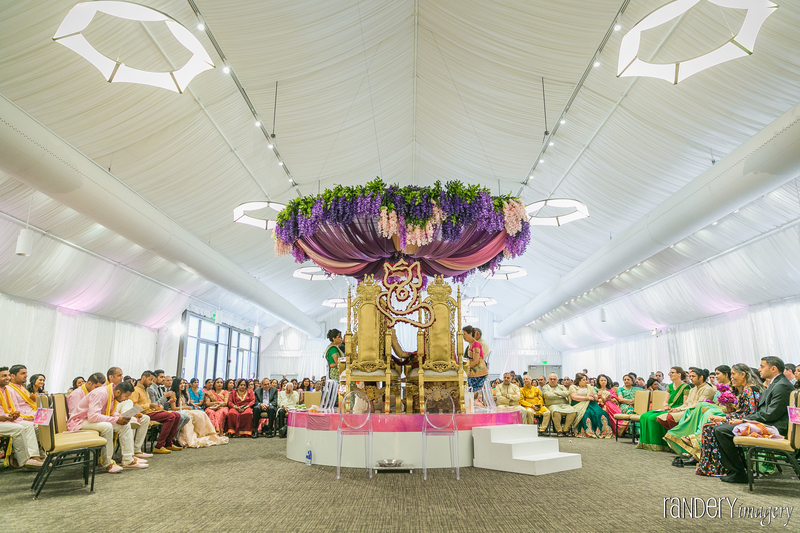 The post-ceremony photos in the mandap can take anywhere from 30-40 minutes. Here’s a link to our guide on best practices for preparing a post-ceremony shot list, that you can share with your clients. 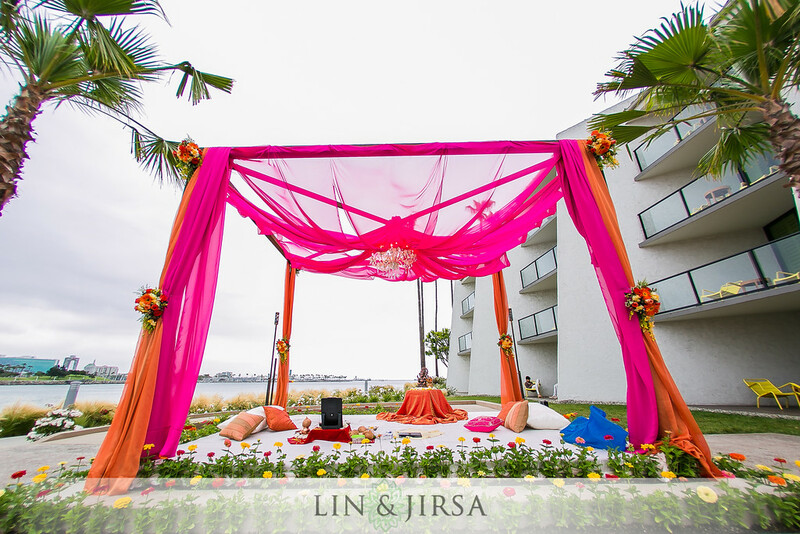 The Mandap is an essential component of many Indian weddings. It’s the structure under which the ceremony takes place in Hindu and Jain weddings. Traditionally it’s made up of 4 pillars which are decorated with flowers and fabrics. Some couples are opting for creative license with backdrop and pillar-less mandaps. The mandap is usually at least 8ft. x 8ft. x 8ft. and sits atop a stage. Most hotel and resort venues provide the staging and the decorator assembles and decorates the mandap. Golf Clubs and banquet halls typically don’t provide nor setup the stage and couples rely on their decorator to provide that as well. 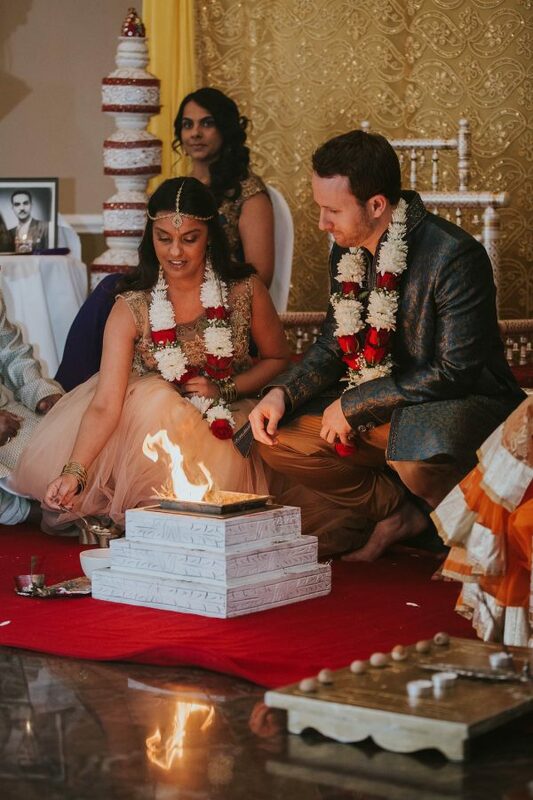 Please make it a point to discuss your venue’s open flame policies with clients as the open flame at Hindu and Jain weddings is usually a deal-breaker. Start theater style seating at least 6ft. away from the mandap as that gives enough space for the photo and video teams to capture the memories. 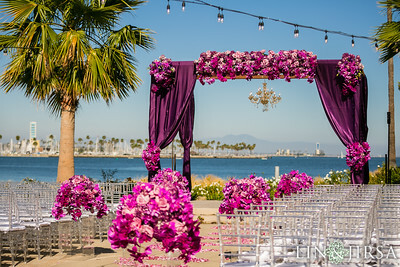 Venues that have a built-in gazebo or structure already, you might offer that to couples to decorate for their mandap. Mandap is not a term used in Sikh weddings. In Sikh weddings everyone sits on the floor. Scroll up to learn more about the logistics for Sikh weddings.